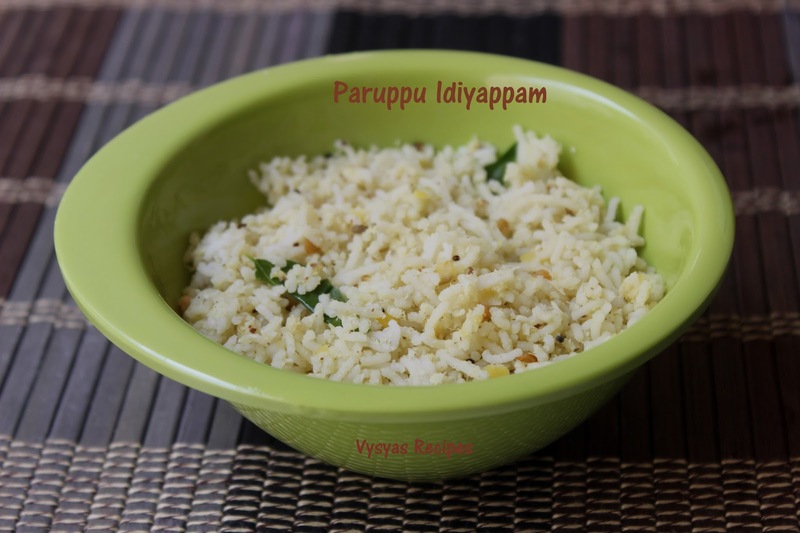 Paruppu Idiyappam is an authentic Idiyappam variety made with either cooked Toor dal or Moong dal.I am the big fan of this Idiyappam. Rice flour strings when blended with dal's & spices tastes yum!Yum!. often I ask my mom to do this at Home.Even the kids love this a lot.you can even pack it as lunch box recipe. 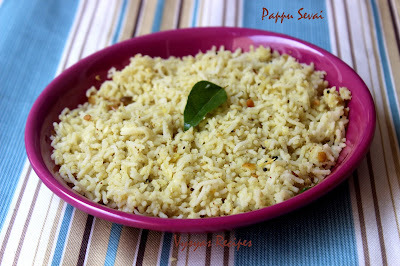 when i take this to school, i eagerly wait for lunch time.Now we will learn to make Paruppu Idiyappam. Moong dal/Toor dal - 1/4 cup. Cook the moong dal or toor dal till it is soft with needed water. Heat the oil, add mustard seeds, when it splutters add chana dal,urad dal, red chillies, Curryleaves, saute till dal's turn golden brown colour.Add cooked moong dal, add 2 tbsp of water and salt stir well. When it starts boiling, switch off the stove. Add idiyappam, tear gently and mix well. Add Grated Coconut and give a quick Mix. Finally, garnish with cilantro, now Paruppu idiyappam is ready. Instead of Moongdal, you could also use Toor dal to make this idiyappam.